Salt & Sill’s history goes back just over 10 years, with the present owners. 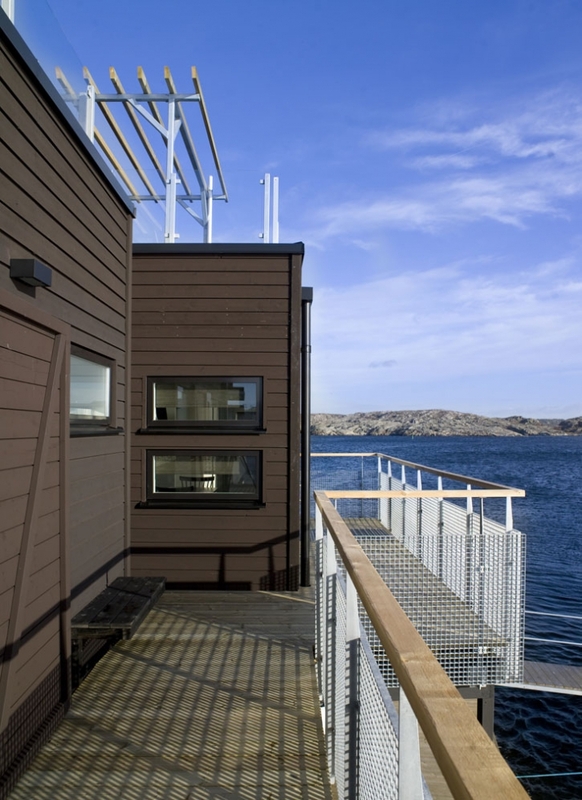 Susanna och Patrick Hermansson are, through the company Salt & Co, the third set of owners for this now famous restaurant on Klädesholmen, the Herring Island. 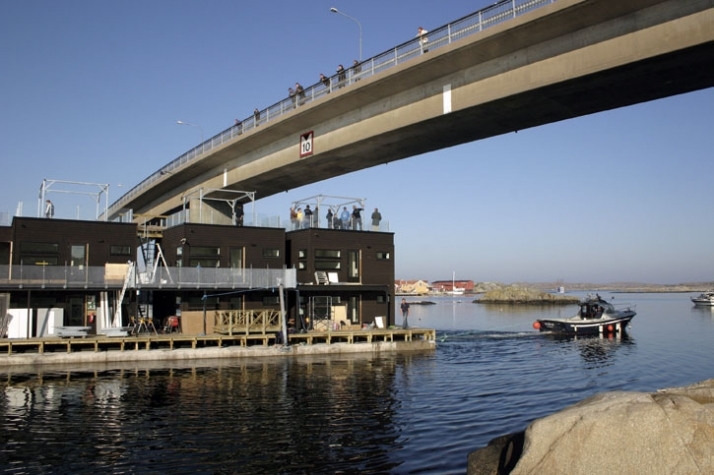 Their passion for food and people became the starting point for this internationally acclaimed restaurant, and now also for Sweden’s first floating hotel. 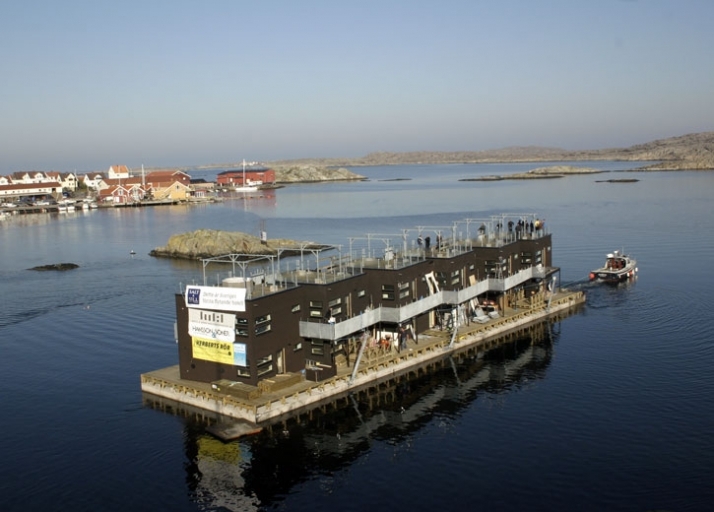 In October 2008, Sweden’s first floating hotel opened alongside the famous restaurant "Salt & Sill". The hotel will be a meeting and conference venue with 46 beds, and will be open all year round. 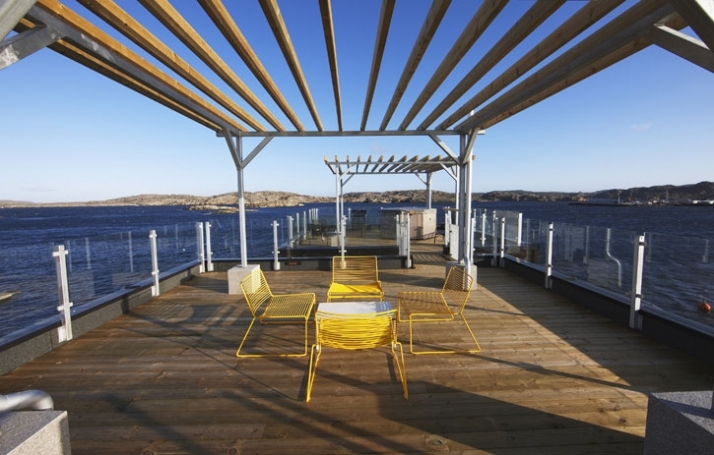 At the hotel, guests can work and socialise in an inspiring environment, enjoy good food and drink, and then fall asleep to the sound of lapping waves. Despite the serene setting, there is plenty of opportunity for exciting and fun activities, with focus on the sea or food & drink. The staff members are professional and service-minded and do their outmost to look after – not the customer – but the individual person. 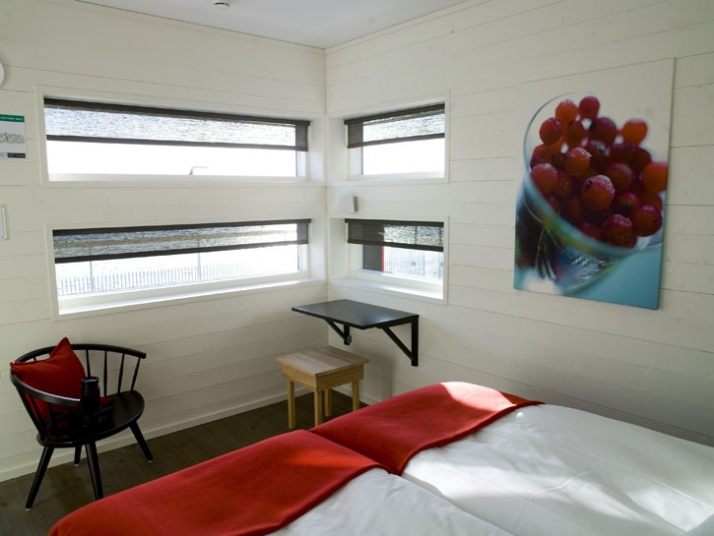 Salt & Sill is a hotel and meeting place with a cosy, personal atmosphere, and a style characterised by modern Scandinavian simplicity. 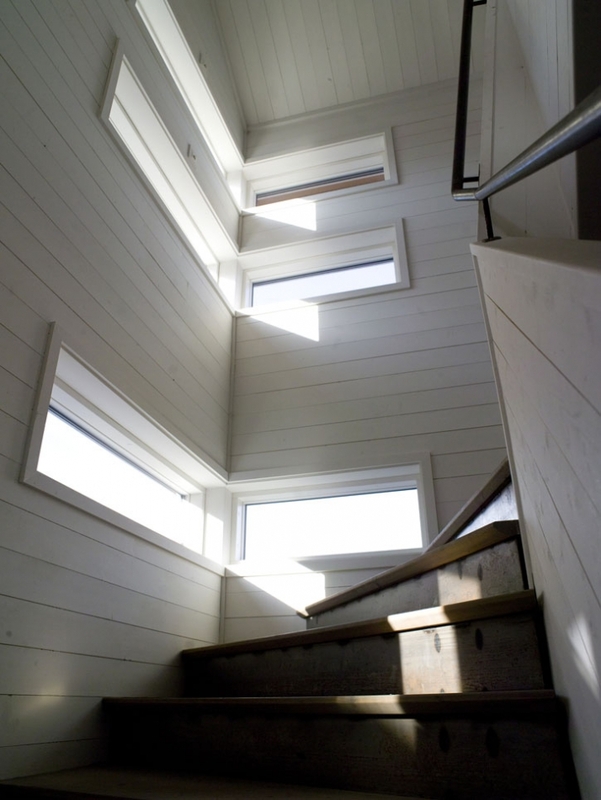 Salt & Sill has always been passionate about the environment. With food, it’s about using local raw materials as far as possible. 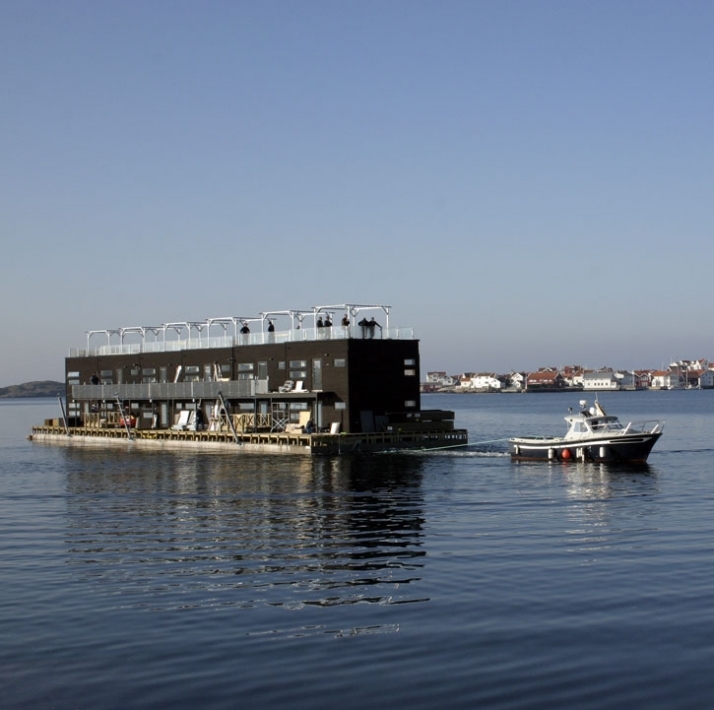 During the building of the floating hotel, protecting the environment has obviously been at the top of the agenda. The establishment should have a positive impact on outdoor pursuits and recreation, and should have little or no effect on the living environment, safety or communications on the island. Neither should it cause any significant noise pollution, nor pollution of air, land or water. The excavating rock left over from the building work will be used to build a new lobster reef outside the hotel, which will benefit both fish and shellfish. The marine life underneath the floating pontoons is expected to increase, and will include a mussel purification plant. 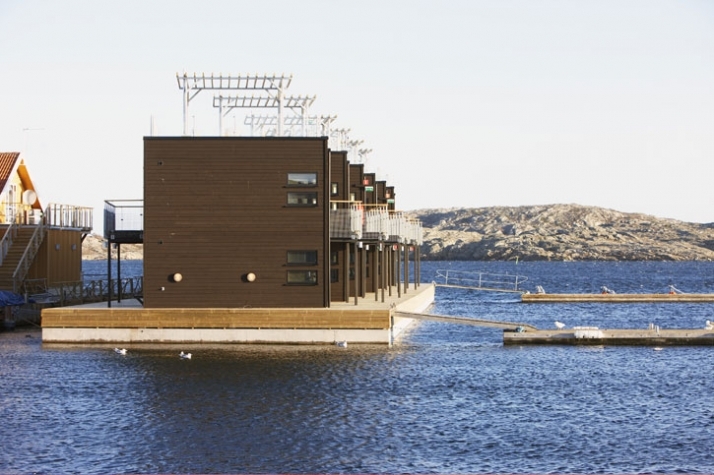 Naturally, the hotel will be heated using the surrounding water.